Phil Salt signed a new two-year contract extension with Sussex Cricket earlier today. The 21-year-old Sussex Academy graduate made his maiden first-class half-century in the summer, scoring 72 during the County Championship Division 2 win over Durham last month. Salt has chalked up seven first-class appearances, as well as featuring 18 times in limited over matches in his Sussex career so far. 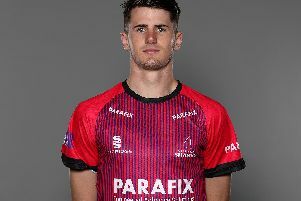 Born in North Wales, Salt spent part of his childhood Barbados where he played alongside Jofra Archer. Reacting to committing his future to Sussex, Salt said: "I’m thrilled to sign and be a part of a young Sussex squad who can work towards winning silverware in the future." Sussex director of cricket, Keith Greenfield, is delighted to see Salt agree a contract extension. He said: "I’m really pleased Phil has committed himself to the club and that we can continue to develop his exciting talent into a consistent match winner."